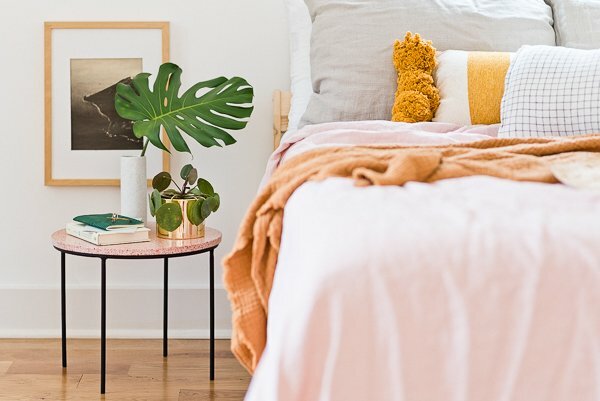 We’ve all seen those DIY side tables that involve hairpin legs or something similar, but as much as I love that style, it doesn’t quite feel as original as it once did. 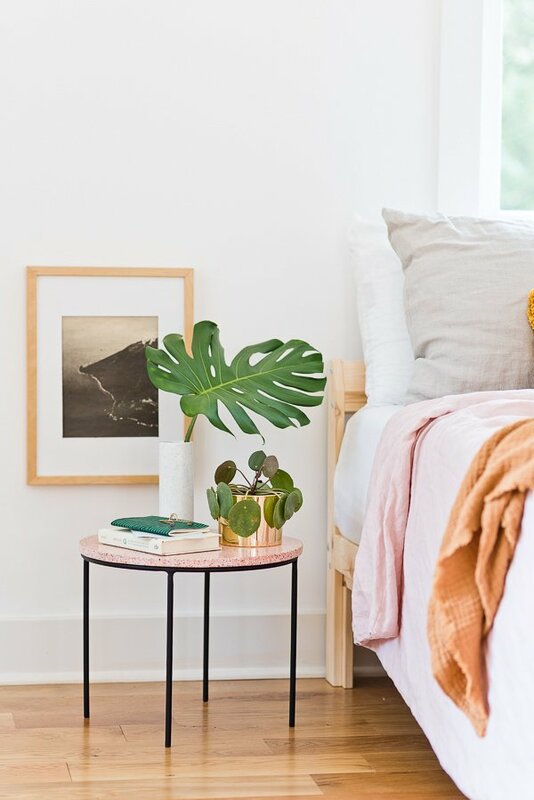 So, I started looking around to see what other kinds of options I might be able to find for table legs when I decided to make my own side table for the guest bedroom and stumbled upon something that I really kind of love. The finished project doesn’t look like a DIY at all. Does it? 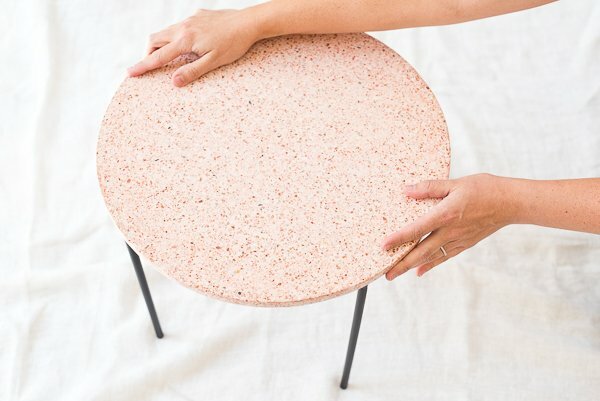 And the clean metal legs combined with the pink terrazzo tabletop give it some personality without being overbearing. My kind of project! 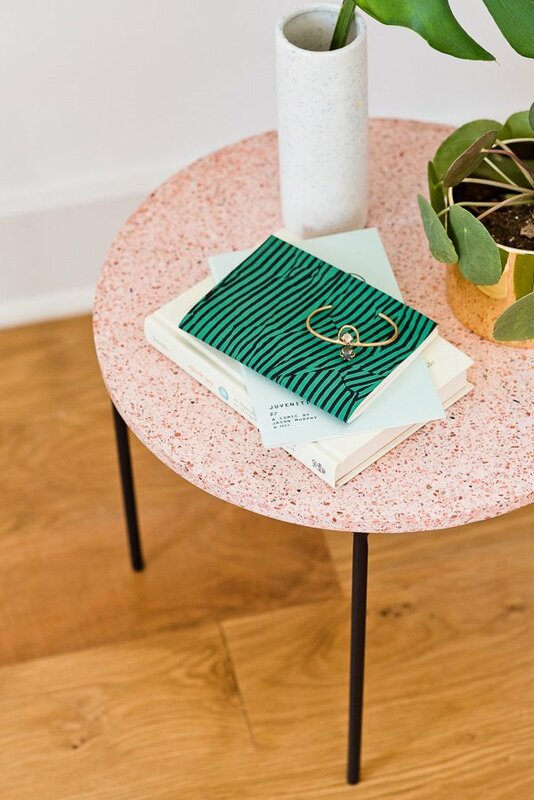 Click through to see how I made this DIY side table, complete with resources for creating your own. 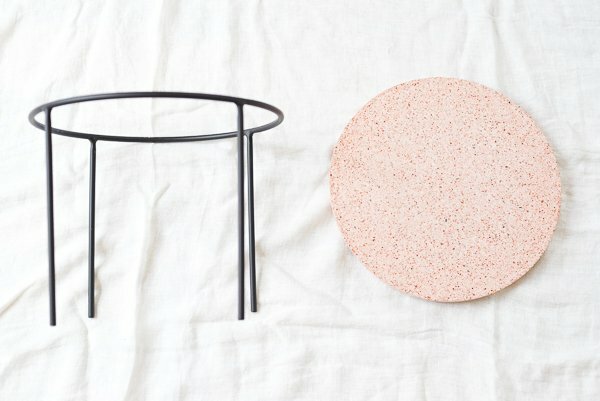 *These are fairly heavy and really good quality (it’s actual terrazzo, not a paint treatment or printed design). Bought mine while traveling in London, but I found the exact same one online (it’s linked above). 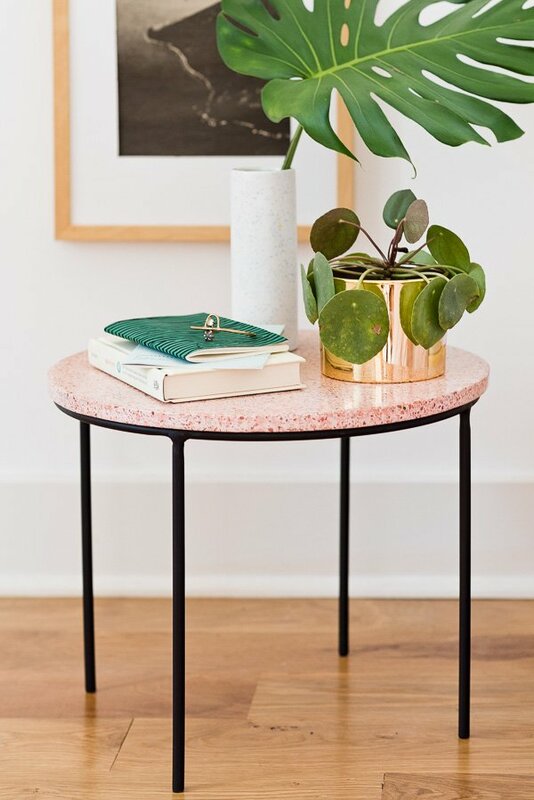 As another option, this pink marble platter is the same dimension as the terrazzo and would be a really cool tabletop as well, if terrazzo isn’t your thing. 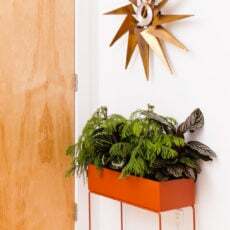 Or for a super budget-friendly option, you could go with a wood round that is slightly larger than the diameter of the plant stand. 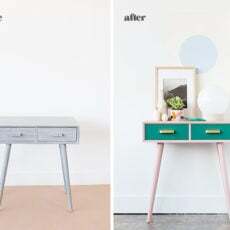 You’ll see a DIY example of a wood tabletop version of this in my minimal modern balcony makeover from earlier this year. 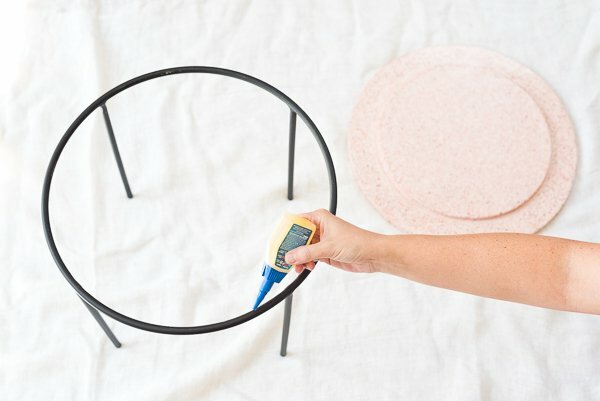 To make your own DIY side table, all you have to do is apply the heavy duty glue around the top ridge of the plant stand according to the instructions on the glue’s packaging. Then, attach the terrazzo platter to the top and allow it to dry (again according to instructions on the glue’s packaging). In the step one photo, you’ll see the underside of the terrazzo platter has a ridge. This isn’t necessary for the tabletop to bond to the metal, so if you want to search for a different tabletop option that is a completely flat piece, with no ridge on the bottom, that will work just as well. And that’s it! Once the glue has completely dried and bonded the two pieces together, it’s all set and ready to use. 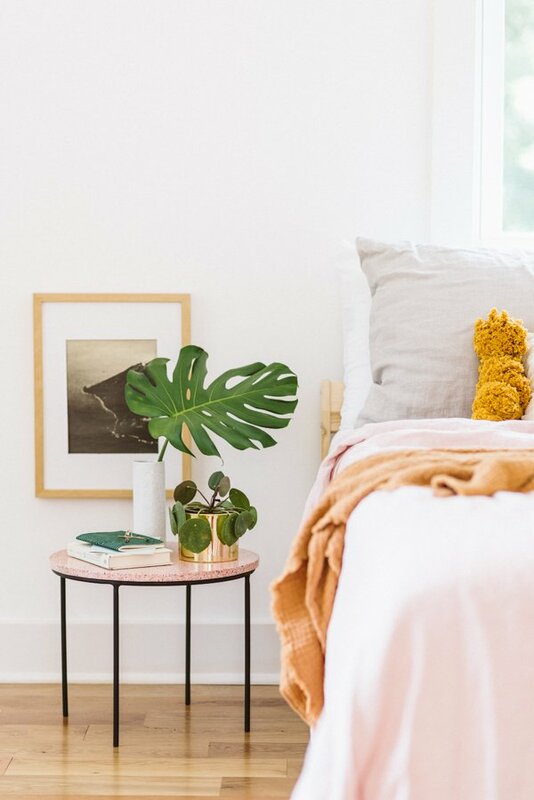 Personally, I love it as a side table for my guest bedroom, but it could also would as an outdoor patio piece, living room side table, or even as a super fancy plant stand, if you wanted to go that route. 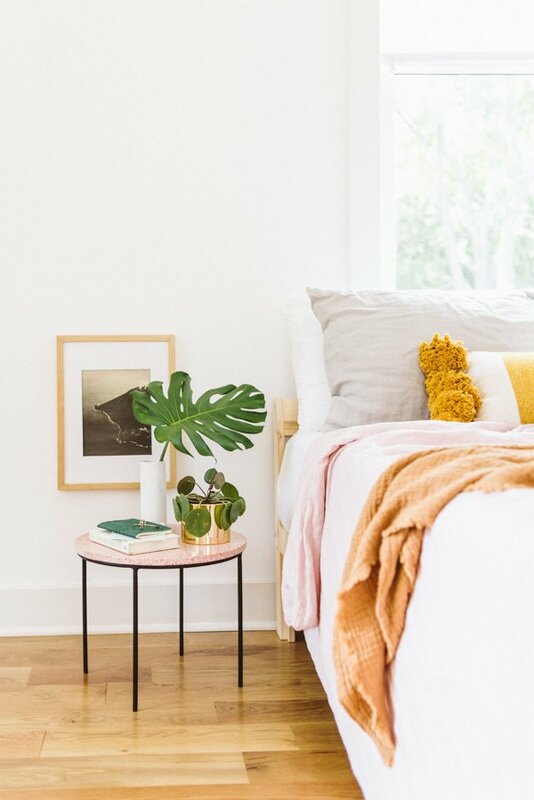 What do you think of this DIY side table? Does it catch your eye in the style department? I’d love to know what you think of the finished piece. How stylish this is, I love it! 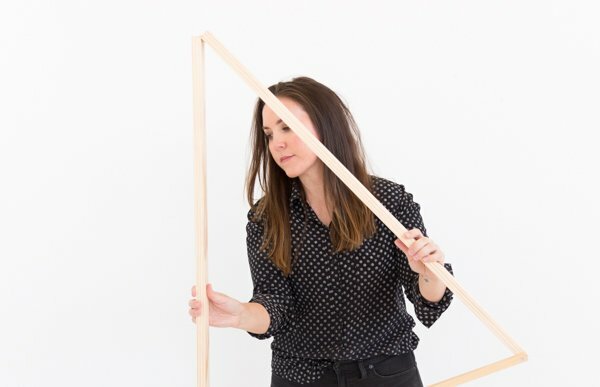 This is one of the easiest but also prettiest DIY projects I’ve seen in a while. Depending on the rest of your furniture instead of marble you can put some wooden top on the top of the table or even plastic. As long as you match the colors and fit it right, anything will look adorable. Well done, and thanks for the idea! Ok, I kind of love this! And it looks like something even I could do!